Dubai wants to be the 3D printing capital of the world, and with their latest announcement in early February, they’re well on their way. How would you like to replace your missing teeth with a 3D printed set, that looks more natural than the set you were born with? 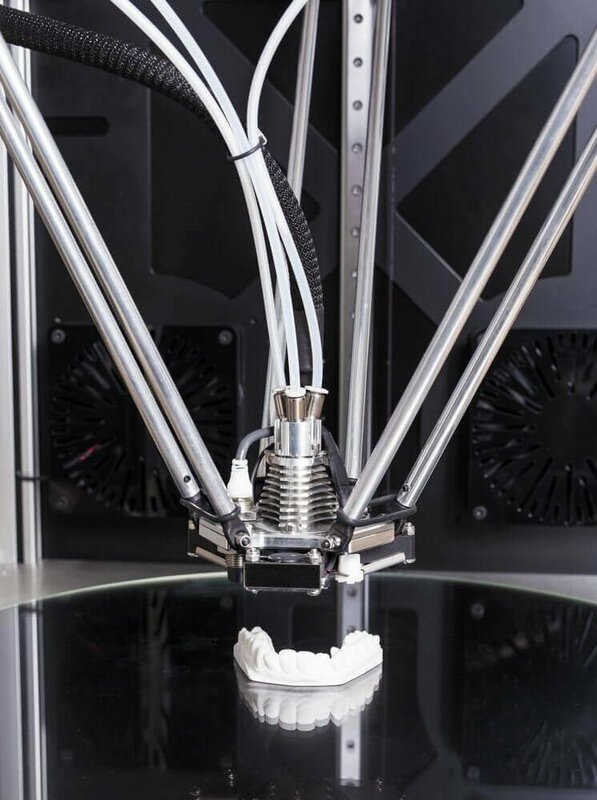 Advanced 3D printing is changing the world, and that includes the realm of dentistry. Imagine not having to wait days for your dental prosthetic, but just a few hours! Using what’s called a powder bed fusion process, you can skip messy dental impressions and enjoy a restoration that’s straight out of sci-fi! How’s It Done? Using an intra-oral camera, an initial 3D digital model is created of your mouth’s layout. Based on that mockup, a precise and accurate design is then created. The actual “printing” process begins with layer of metal powder, applied evenly across the 3D printer platform. Then, using a high-powered laser, the powder is carefully melted together, layer on top of layer, until a metal framework is created. Don’t like the idea of a metal mouth? That’s ok - the process isn’t quite done, yet. The next step involves applying ceramic so that the teeth have a natural appearance, that’s indistinguishable from your real smile. Even better, take care of your smile and reduce your risk of tooth loss. A healthy smile begins with great dental hygiene and home and professional cleanings every 6 months. Has it been awhile since you saw your dentist? Schedule your appointment for a smile checkup, today!